Miami’s selection as one of 20 finalists (238 cities applied) to host Amazon’s second headquarters reflects the strides the region has made in being recognized as more than just a vacation spot. A new report by the College of Communication, Architecture + The Arts’ Miami Urban Future Initiatives (CARTA | MUFI) discusses and identifies key components to determine future steps in attracting large, multinational corporations. “Collaborative research efforts, such as this initiative, provide data to identify Greater Miami’s economic assets and challenges and to spur a robust conversation about the region’s economic future,” said Brian Schriner, dean of College of Communication, Architecture + The Arts. In this data-rich report, MUFI researchers examine the foundation of the local economy and offer a series of recommendations for how the region can someday build its own Amazon-sized company. The report outlines six important goals for Greater Miami in order to be more competitive: invest more in research universities and education, leverage talent, continue investing in the region’s startup ecosystem and leverage its role as a Latin American headquarter. 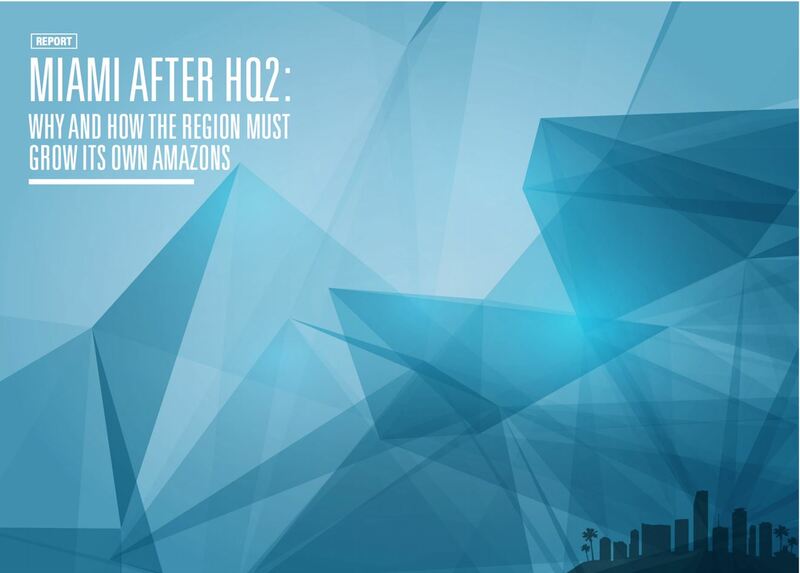 Florida and individuals involved in the chase for Amazon’s HQ2 will discuss the report’s findings and analyze why South Florida made the Top 20 list and what can be learned from the process. Miami Herald business editor Jane Wooldridge will facilitate the discussion about how the community can be better prepared for future opportunities. The Miami Herald CEO Roundtable will take place on Tuesday, Jan. 29 from 8 to 9:30 a.m. at the Miami-Dade Beacon Council, 80 SW 8 Street, Suite 2400 Miami, FL 33130. For more about the event, please go here.